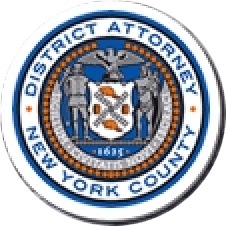 Manhattan District Attorney Cyrus R. Vance, Jr., today announced the sentencing of BRANDON KIEHM, 37, to 2-to-6 years in state prison for stealing approximately $49,000 from three women he met on Tinder, as well as more than $800 from a neighbor and $13,000 from a man who employed him as a dog walker. On October 10, 2017, the defendant pleaded guilty in New York State Supreme Court to four counts of Grand Larceny in the Third Degree—the top charge in the indictments against him—as well as one count each of Identity Theft in the First and Second Degrees and one count of Scheme to Defraud in the First Degree. As part of the defendant’s sentence, he is also required to pay $45,258.56 to four of the victims through a civil judgement order. As admitted in the defendant’s guilty plea and according to documents filed previously in court, beginning in August 2015, KIEHM stole approximately $14,000 from a woman he met through Tinder, a mobile dating application. Claiming to work in the financial industry, the defendant repeatedly asked the victim for cash, saying he lost access to his bank account after his wallet was stolen, and that he urgently needed funds to pay for his sister’s alleged cancer treatments. In one instance, under the guise of repaying the victim for $5,000 in cash, KIEHM knowingly wrote her a check from a closed account, and the check was rejected by her bank. In a similar scheme in October 2015, the defendant stole approximately $11,000 from a second woman that he met through Tinder. KIEHM again purported to work in the financial industry, and made similar claims about immediately needing funds for his mother, who was allegedly being treated for cancer. The victim was particularly vulnerable to this deception as she was herself a cancer survivor. She gave KIEHM money, and could not deposit the checks he wrote her from the same closed account. On February 16, 2016, KIEHM was arraigned on a New York State Supreme Court indictment charging him with the alleged thefts. Then beginning in June 2016, while out on $10,000 bail, the defendant stole more than $23,000 from a third woman that he met on Tinder. KIEHM claimed that he had booked vacations to Hawaii and Amsterdam for himself and the victim and asked to be reimbursed $5,500 for her share of the total cost of these trips. In reality, he had not booked any vacations, but he told the victim to remit payment to him through Venmo, an electronic payment service, nonetheless. Later, KIEHM claimed that he lost access to his bank account after losing his wallet and told the victim that he would send her money via wire transfer from his Korean bank account in exchange for cash. After receiving a fraudulent confirmation for a $13,800 wire payment, the victim paid KIEHM that amount in cash over the course of several days. In addition, over the course of their two-and-a-half-month relationship, the defendant stole the victim’s debit cards and withdrew $3,500 from the victim’s bank accounts. He also opened two credit cards in the victim’s name and attempted to make almost $4,500 in purchases on one of them. In a separate scheme, beginning in May 2014, KIEHM offered to help a neighbor prepare his taxes, which amounted to approximately $860 in state and federal tax refunds. The defendant then opened a bank account in the victim’s name without permission and deposited the refund checks into that account, eventually wiring the money directly to himself. Finally, in yet another scheme beginning in July 2015, KIEHM stole the debit card information belonging to a Manhattan man who employed him as a dog walker. Using that information, KIEHM opened and funded an account with Venmo and made transactions totaling approximately $13,000 without permission over the next two months. Assistant District Attorneys David Bernstein and Raphaelle Monty handled the prosecution of this case under the supervision of Assistant District Attorneys Gloria Garcia and Anne Ternes, Deputy Chiefs of the Financial Frauds Bureau; Archana Rao, Chief of the Financial Frauds Bureau; and Executive Assistant District Attorney Michael Sachs, Chief of the Investigation Division. Paralegals Anna Vaynman, Kelly Lai, and Maureen Paparo; Nathan Weber, David Chan, Deputy Director of the High Tech Analysis Unit, and Steve Moran, Director of the High Tech Analysis Unit; and Investigator Yohanna Pena of the Manhattan DA Squad also assisted with the case. District Attorney Vance thanked the following members of the NYPD for their assistance with the investigation: Detective John Mongiello of the Midtown South Precinct Detective Squad; Detective David Mischo of the Warrant Squad; Detective Anthony Cozzi of the 1st Precinct Detective Squad; and Detective Stephanie McCaffrey of the 114th Precinct Detective Squad.